Ansley Designs: Cheap, Practical, and Pretty Pantry Orginazation ~ Under $20! 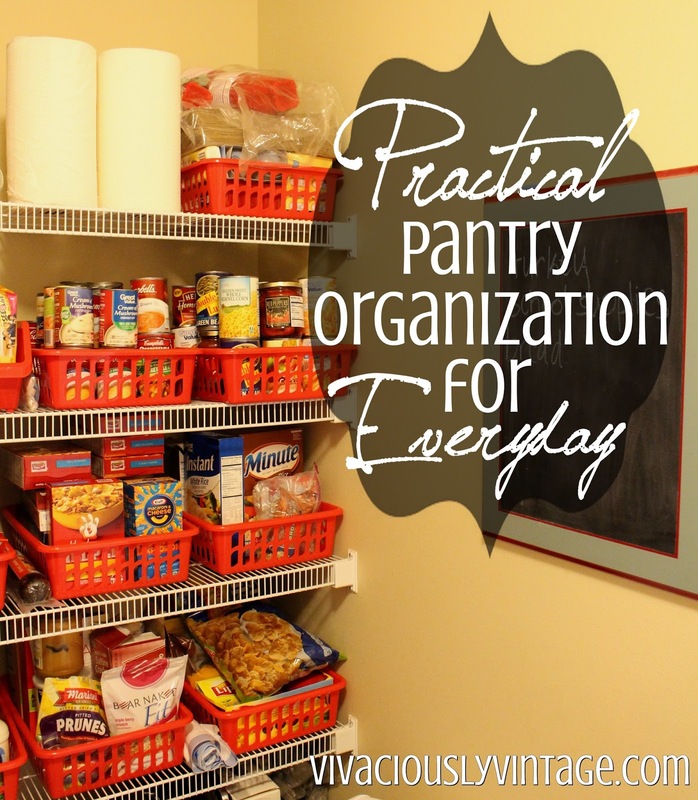 Cheap, Practical, and Pretty Pantry Orginazation ~ Under $20! I've been trying to shift gears into getting this house organized since we are probably moving. When we put our house up for sale/rent it needs to not look like this: lol! Yes that's the before and it's awful! Now the after might not be beautifully Pinterest worthy, but it's organized and practical. Sure, there are some redic gorgeous pantrys on Pinterest, but am I really going to want to refill all of those glass containers (no!) And some I've seen only show like 5 food items in the glass jars. Do they really live off of so few items? I guess fatties like me just need way more variety in the pantry!!! Not to mention all of those pretty baskets and glass containers cost $5-30+ EACH! I organized my entire giant pantry for under $20! I can't tell you how many duplicate items I found. I'd think I was out of something, buy it...only to find out, now that I'm organized, it was just lost in the depths of my pantry! The best part of this makeover is how affordable it is! I got these containers from the Dollar Tree. So, it only cost me $17 and an afternoon to get organized in here!! So basically, you have no excuse! ;) The baskets are also really nice because I can pull them out some to reach the items in the back. That also helps keep the pantry neat because there's no rummaging around and moving/knocking things over and leaving them because you're in a hurry! That's what I always did anyway! I can't find these same baskets on their website, but I found some that look similar. They don't have the measurements listed, but mine are roughly 11x16. However, the larger ones in this bundle look very similar - and those are the same 3 colors that were available in the store. I revamped this little chalkboard a super long time ago. It's been hanging out in my pantry list for grocery lists and reminders. It's nice to be able to write something down as soon as it runs out...stuff is rarely forgotten! Unless of course I forget the grocery list...but that's another issue altogether! 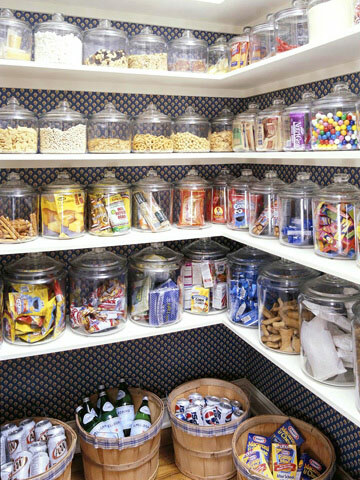 I love that this pantry is large enough to have some fun aspects. I love little aprons, and I found the perfect place to hang them on display! You can also see the cute little bread box that's up for sale! It's also large enough that this is actually only half of the pantry! The other side isn't quite as nice. I have a tendency to hide stuff behind doors! lol! Maybe that'll turn into a pantry part 2! Perhaps at our next house I'll splurge and do a pinterest worthy pantry, since it's smaller and wouldn't cost as much to fill with prettier baskets! At the very least I'll try to paint or stencil the inside so it has a bit more character!